Apex - reaching the pinnacle. The flawless symmetry, the geometric angles of this classical design results in limited space to inscribe but the impact is enormous. 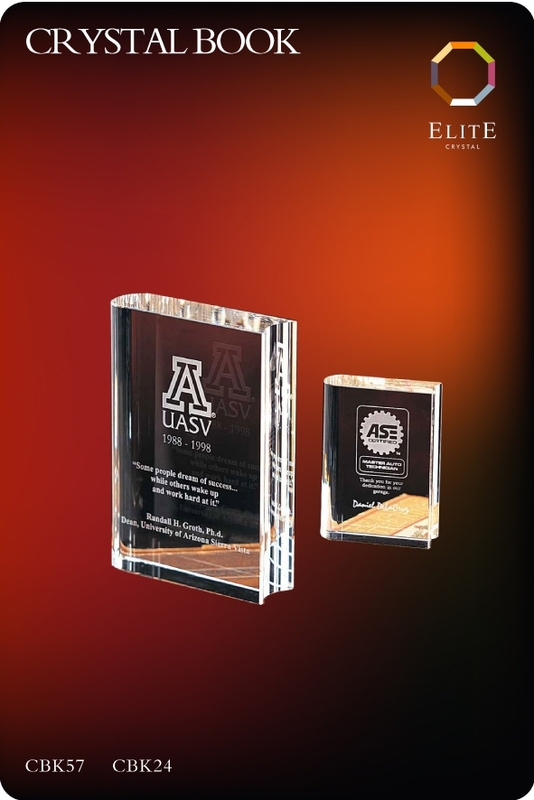 Can be mounted on a Clear Crystal or Black base for added impact. 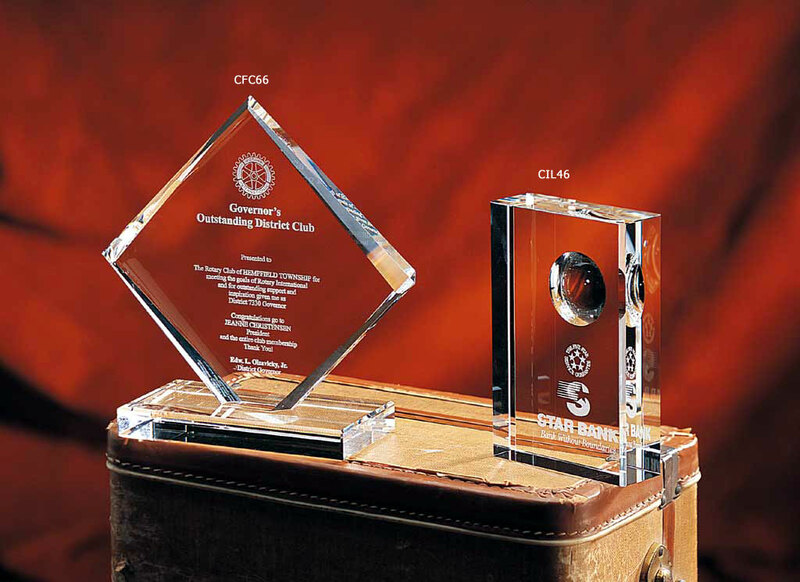 BABY STAR CBY 55 & SUPER STAR CSS 66 - All organisations need to reward and retain star performers. 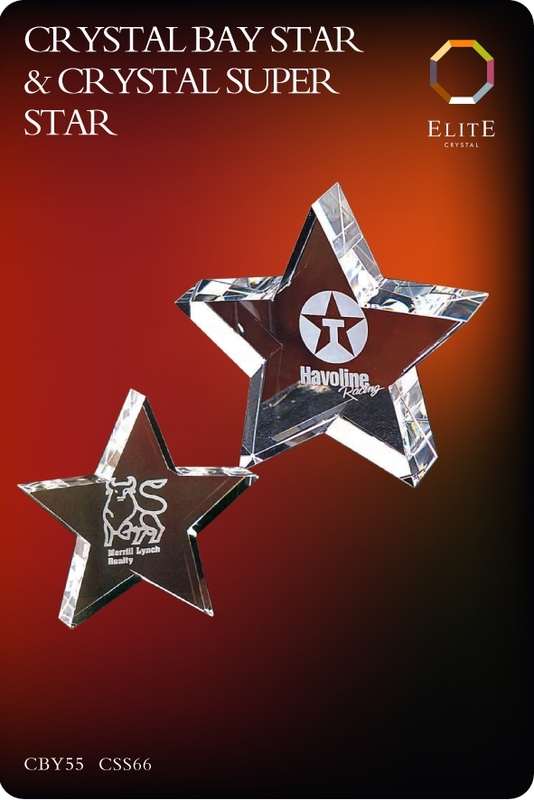 The star range features the bright and shiny Baby Star, and the more substantial Super Star and for the recognition of solid achievement the Mega Star. 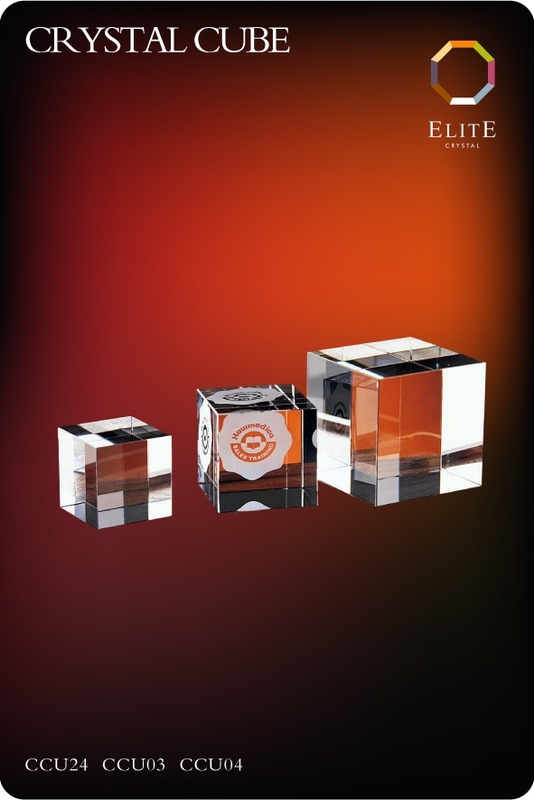 There are a number of different cube designs to choose from, and this one is sure to please. 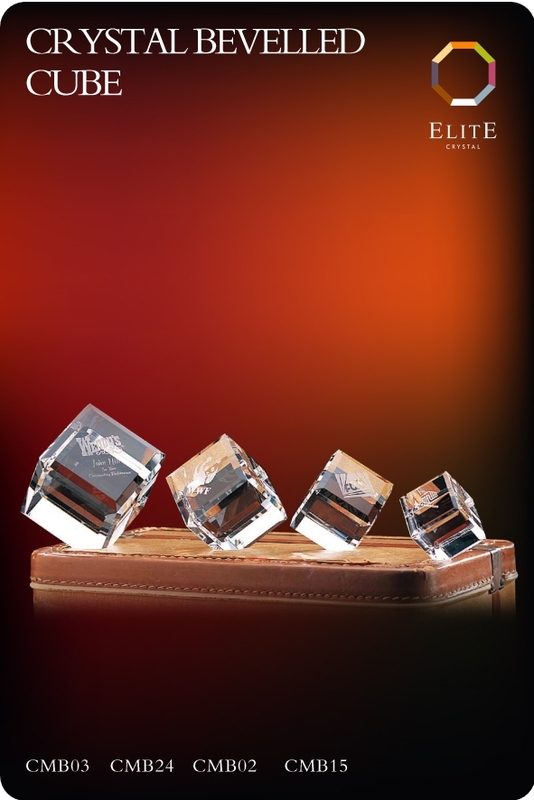 The cube sits balanced on one corner, the bevelling of the corners giving the appearance of precious stones, the crown jewel of cube designs. You will love the flawless symmetry. Four sizes 4 cm, 5 cm, 7.5 cm, and 10 cm. The symbolism of a book is a powerful reminder of learning and academic achievement. Small CBK24 - 10 cmm or large CBK57 18 cm. Ideal for schools, colleges and universities. 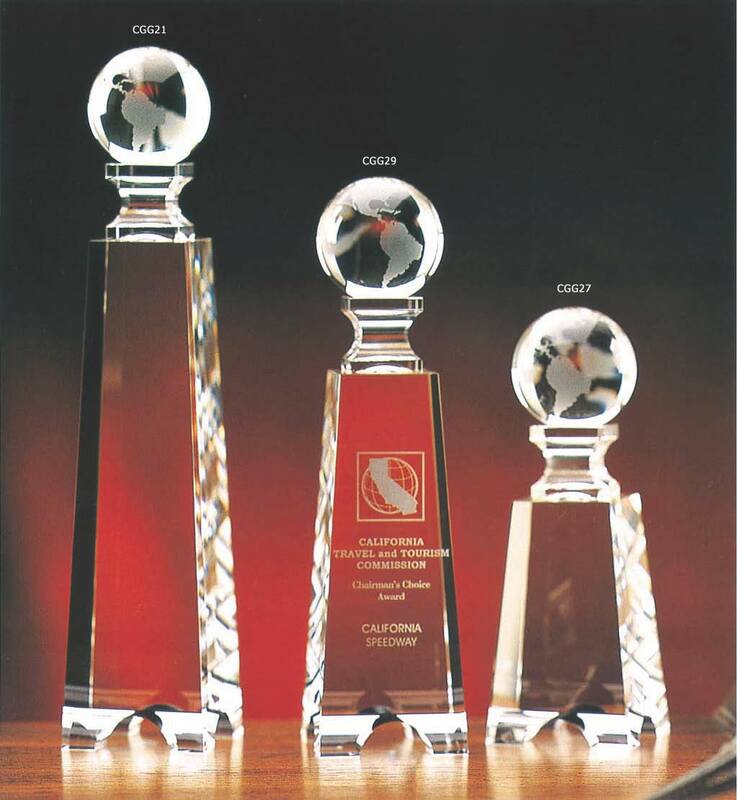 The Crown Jewel will be seen as the true recognition for winners of the highest standing. These stunning pieces available in two sizes (CCJ57 - 18 cm and CCJ79 - 23 cm) will be treasured for years to come. Precision cut and hand polished by true artisans - this is one of our best. 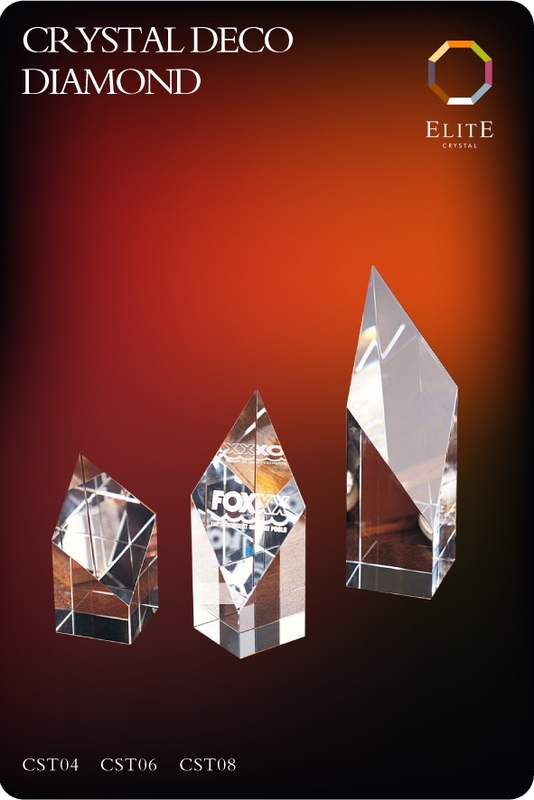 Classic Cube design ideal for corporate presentations Available in three sizes CCU24 - 6 cm, CCU03 - 7.5 cm and CCU04 - 10 cm. The Cylinder - The ultimate in simple yet pleasing designs, the angled cut provides a strong surface for your logo and message. This design is one of the most economical to produce yet will be well received. 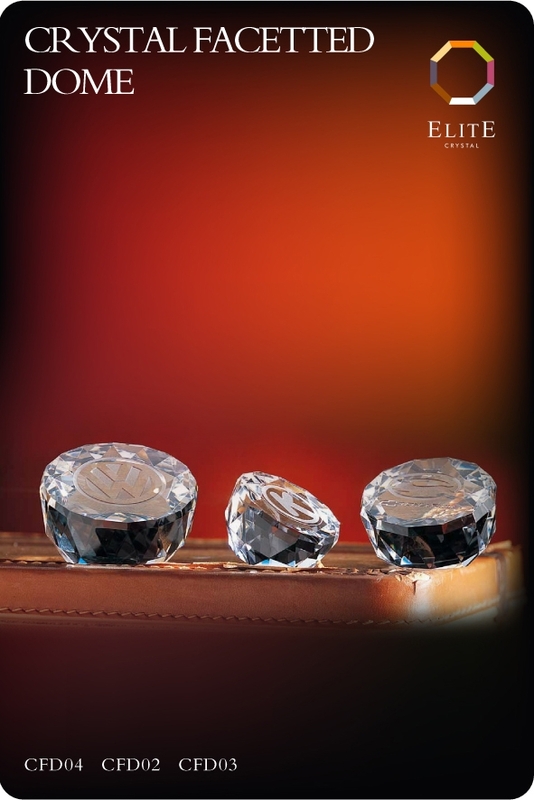 Deco Diamond - The finely honed surfaces, the diamond face and the striking simplicity will make the Deco Diamond series a real winner. 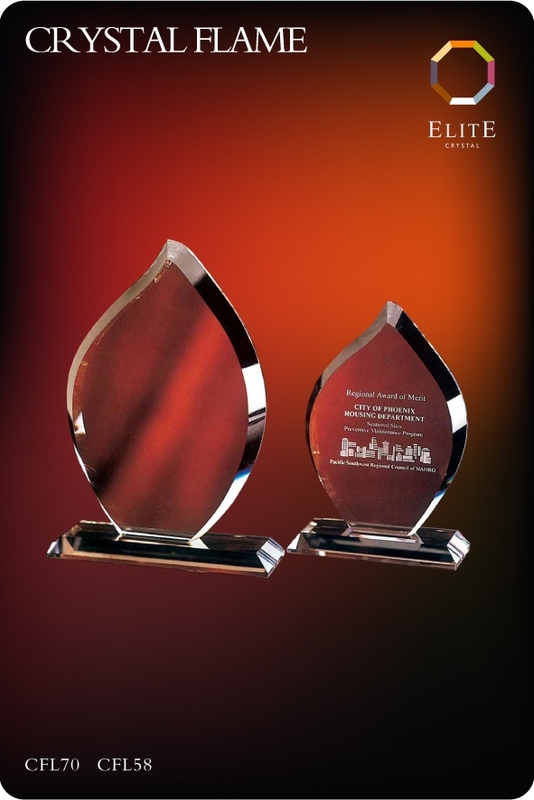 Your special performers will gain recognition and affirmation from theses award wining pieces. Each piece comes in its own presentation box. 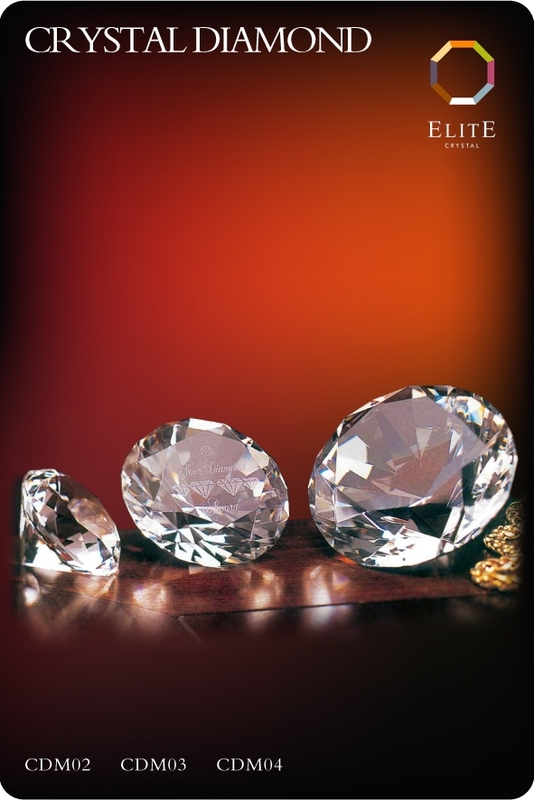 Diamond - the representation of wealth, achievement, prestige and attainment. The finely polished facets are true the traditional diamond cut. Ideal for mounting on bases or as a stand alone piece. 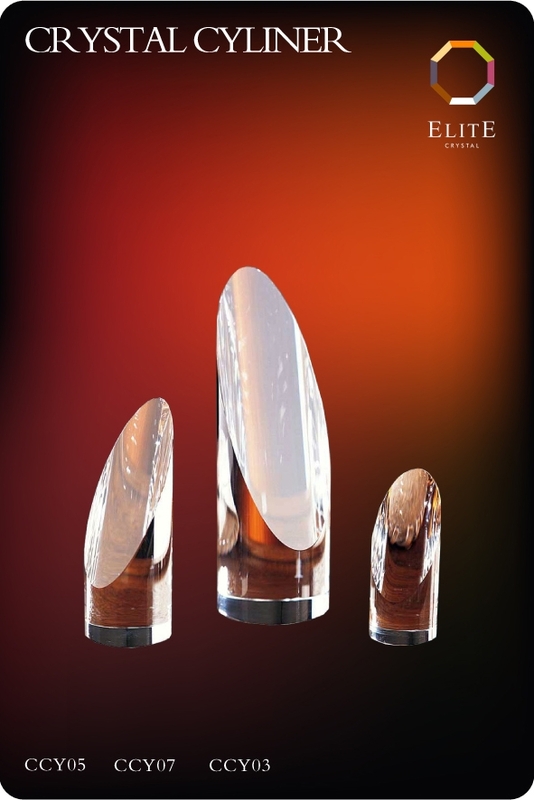 Three sizes - CDM02 - 6 cm, CDM03 - 8 cm and CDM04 - 10 cm. Dome with Globe illusion - Classic design which would sit pleasingly on any desk or mantle shelf of a proud recipient. Height 20 cm.. 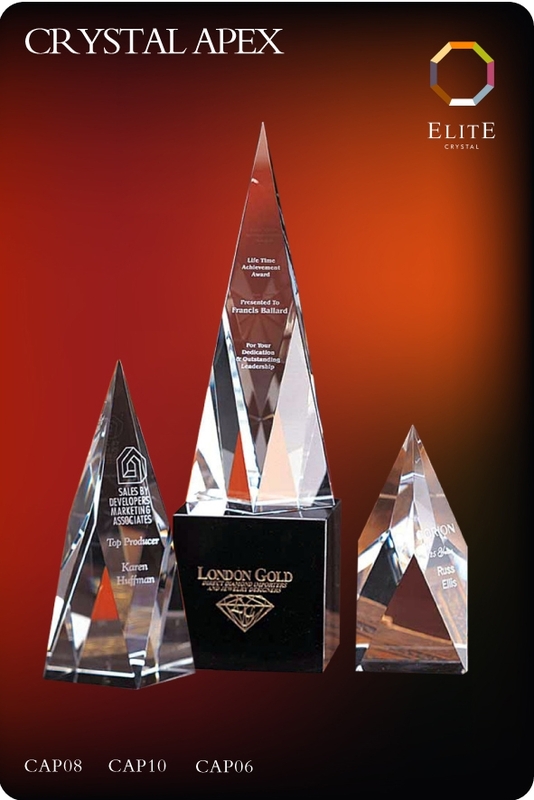 Empire Tower - Towering achievement in a competitive world, how appropriate with this stunning piece. 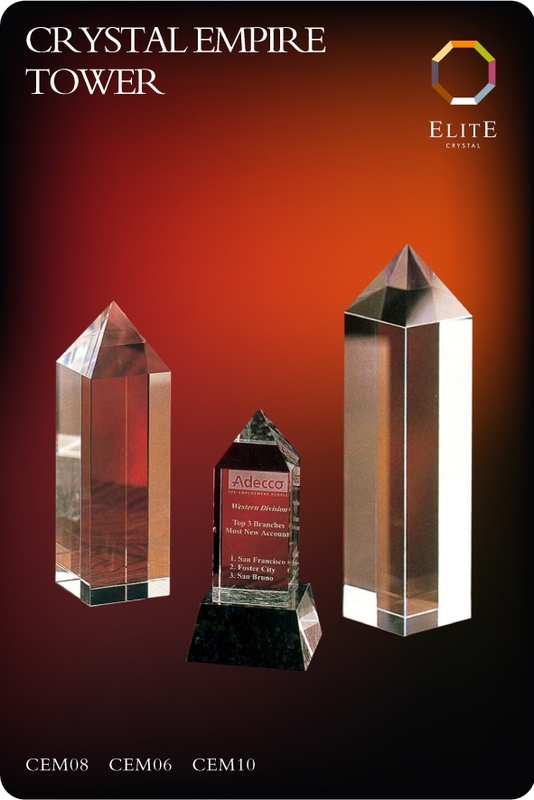 Representing the best in the crystal polisher's art. This piece offers plenty of opportunity for a detailed and personal inscription. Facetted Dome - Ideal for companies and associations with round logos. 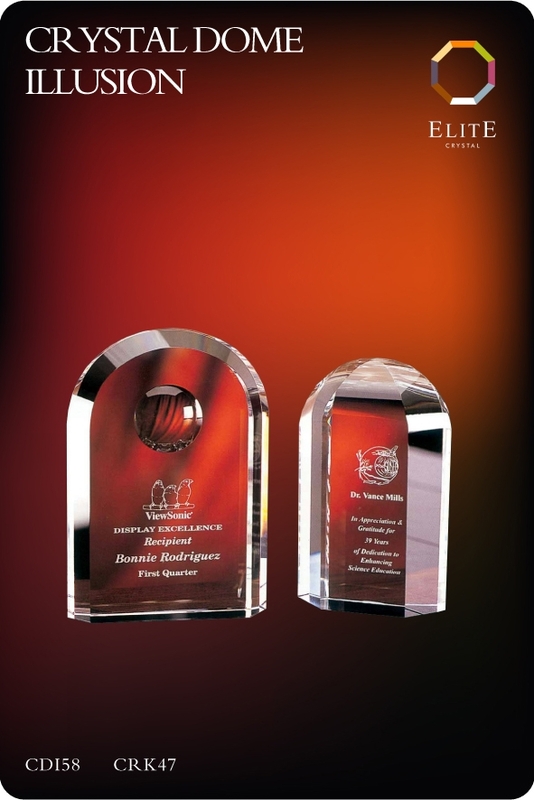 Makes a lasting impression - a smaller promotional item that will last the test of time. Flame - These pieces stand tall for a lasting presence. 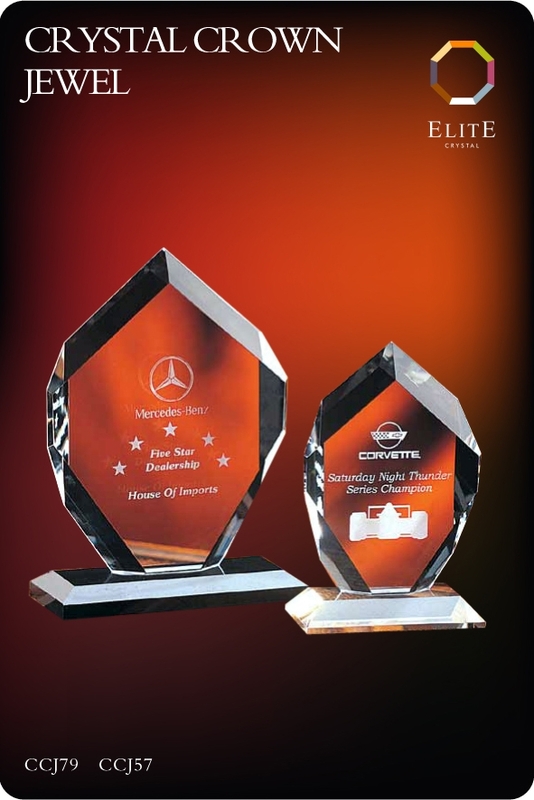 Imagine them taking pride of place in a presentation display in a foyer or boardroom. The Gate Tower - with a Globe mounted on the top. it is classical and timeless. A piece to treasure. A talking point for all who see it. A magnificent example of the artistic skill of the crystal craftsman.